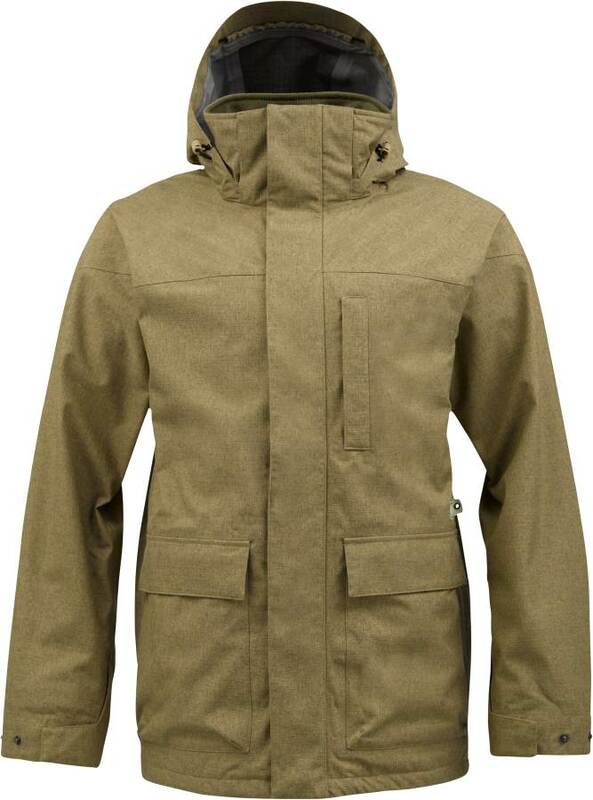 The Burton GMP Thatcher Jacket is a 3 layer jacket made of recycled materials. A lot of companies have been on the 3 Layer Non Gore-Tex kick these days and we like it. 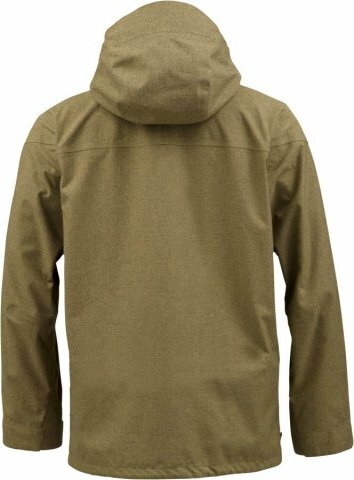 Most jackets are 2 layers with a lining. 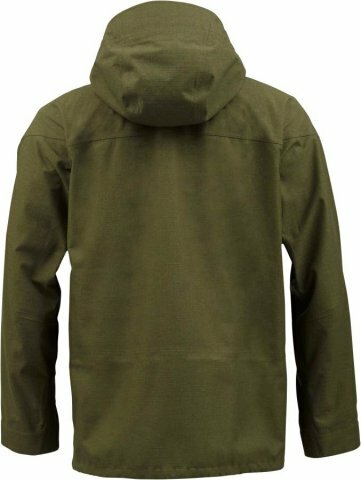 This is 3 layers with no lining. The extra layer adds to the waterproofing so even though it’s 15k on paper it performs better than that. This is a good choice for a rider who puts a good amount of time on the mountain and see’s moderate to borderline heavy weather. 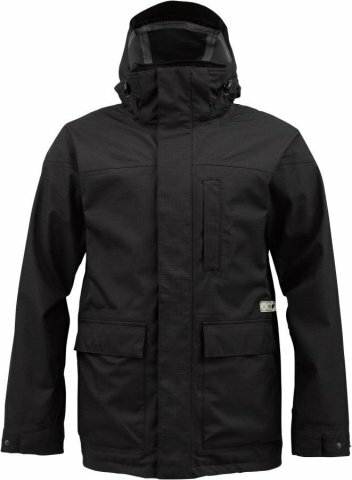 The Burton GMP Thatcher has a nice look and feel to it. It’s a little tighter around the arm pits than some jackets but overall it’s pretty standard for the slim fitting jackets that everyone seems to be putting out these days. 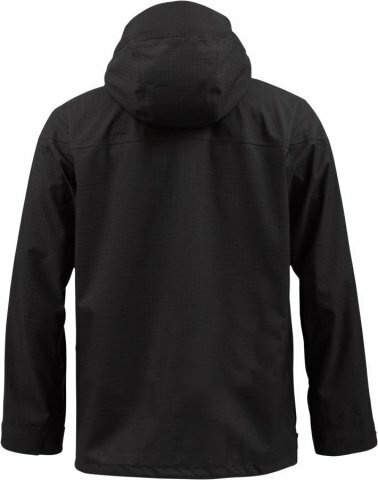 This is a 3 layer and that means that this jacket is pretty waterproof. 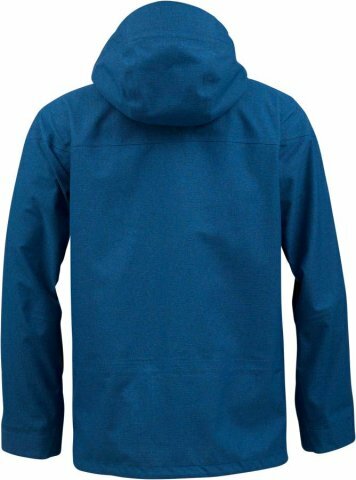 Now most 3 Layer jackets have an inside lining that is kind of like a micro fleece that had a close shave so all the fleece is gone but it still looks soft. This has a similar look but instead of a micro fleece look to it there is more of a clear plastic look to it. It feels fine when its on and looks pretty cool. There is fleece in the inner pockets of the front, a decent size communication pocket with a little hole for your 3.5mm jack and a sturdy feel to the construction. Now this is a shell but it’s rather thick so it’s just a slight bump over some of the other lighter shells in terms of warmth but it’s still on the poor side of average. For most who are looking for a shell this is what you want. A nice outer layer in which you can put a mid and 1st layer on beneath. There isn’t a ton of room for layering but a good mid layer like the Burton AK helium insulator or even the Burton AK BK Insulator can fit without making you look like Randy,Ralphies little Brother in the x-mas story. The color seems just a little bit lighter in person than in the pics but what you see on line is pretty accurate. 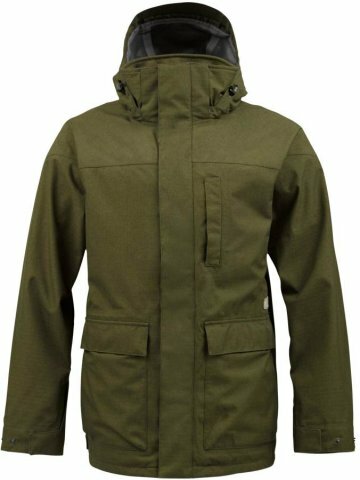 You could do a lot worse and we are big fans of the recycled materials as well as the general construction and feel of this jacket. You pay a little more for the eco friendly material but the price bump is less than years past and you get a pretty technical shell that will do a very good job shielding you from the elements. We try to get as many images of the Burton GMP Thatcher, but forgive us if they're not all there.